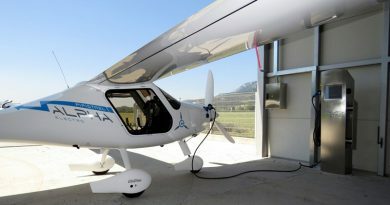 The 1000th manufactured Sinus/Virus, the Pipistrel factory’s base model was sold in a South American country, Suriname. This was the 96th country that purchased this model during the company’s 30 years history. 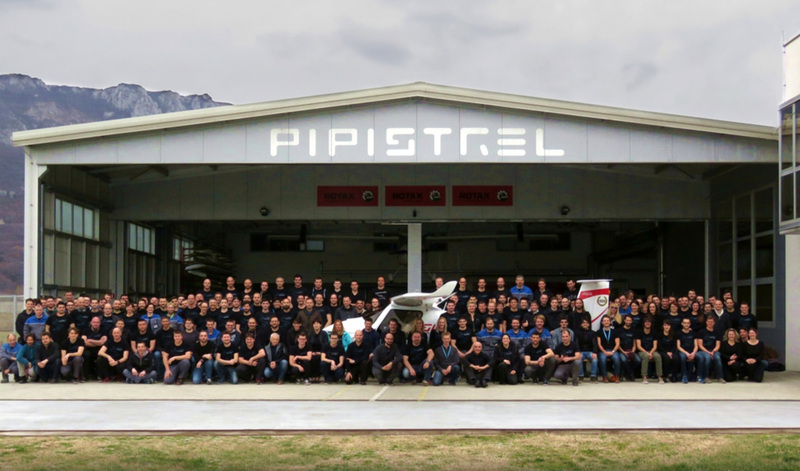 To the right side of the picture, Pipistrel CEO, Ivo Boscarol is celebrating with his team. Below is the hangar of the Ajdovscina factory in Slovenia with the 1000th aircraft, surrounded by the company’s proud employees. 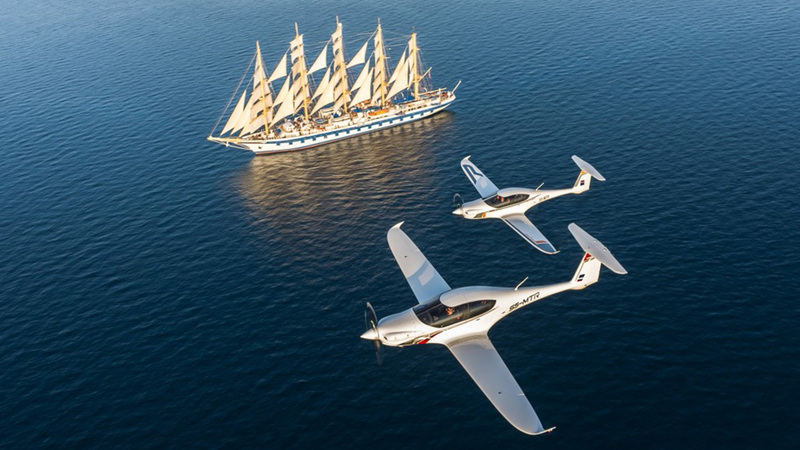 In the summer of 2014, the world’s first Pipistrel exhibition and test day took place in Tököl, Hungary. Several Virus and Sinus models flew constantly all day long with the visitors who really enjoyed the ride along with their pilots. I had so much fun flying with my pilot, Mr. János (Janó) Vígh, the main organizer of the event, who is the local distributor of Pipistrel Hungary, and also a scuba diver. We had a fantastic birds’ eye view with the Danube river flowing through downtown Budapest. The cabin comfort was perfect, thanks to the big panoramic windows, and comfortable seats, The plane handled very well the smaller turbulences we witnessed during the flight. Approach and landing was flawless, Janó did a good job descending the airplane with the air brakes, which turns out to be really useful if one wants to lose altitude quickly. Two Indian women decided to go on a round the world flight after 40 hours of practice with their Pipistrel aircraft, named Mahi. Of course they included Slovenia in their itinerary, for a factory visit, and to have a chance to meet the CEO. Pipistrel Panthera, the newest 4 seater aircraft for business travel has really impressive numbers. 1000+ nautical miles (1852 km), 370 km/h cruise speed, when burning just 36 liters of fuel, short takeoff and landing capability, as well as the ability to operate from unpaved runways. Panthera will be manufactured in the brand new factory in Gorizia, Italy. 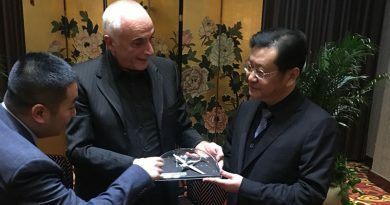 The electric and hybrid version will be manufactured in China. On 2011, NASA and Google offered a 1.3 million dollar prize for the first one who can make an electric aircraft which is capable of the following task: 400 km non-stop flight in less than 2 hours, and a maximum of 3.6 liter / passenger fuel equivalent electricity consumption. 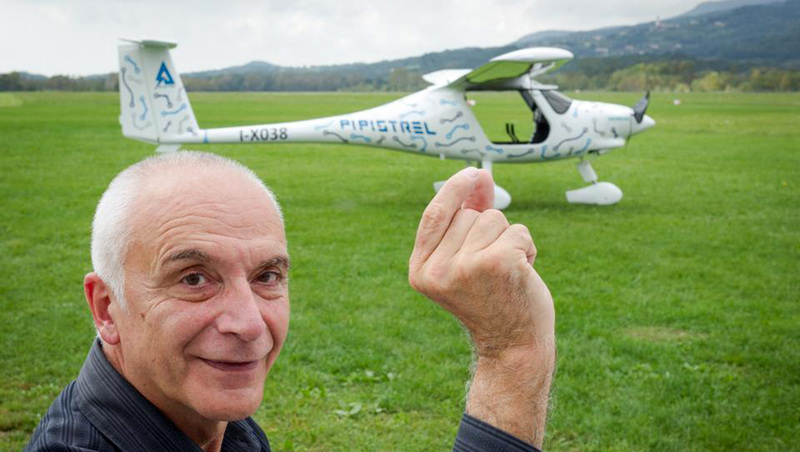 Pipistrel, which was a little, unknown company at the time, came up with a really smart solution. Taurus, their proven 2 seater glider was already on production, so they started with that as a base. They built two Taurus motor glider aircraft together side-by-side, put the batteries and the motor to the middle, resulting a double body 4 seater aircraft, the Taurus G4, which completed the task and won the prize. Ivo Boscarol’s company was on a good way to became world famous. Just a couple of years later they developed the Alpha electro, the world’s first mass produce fully electric aircraft. 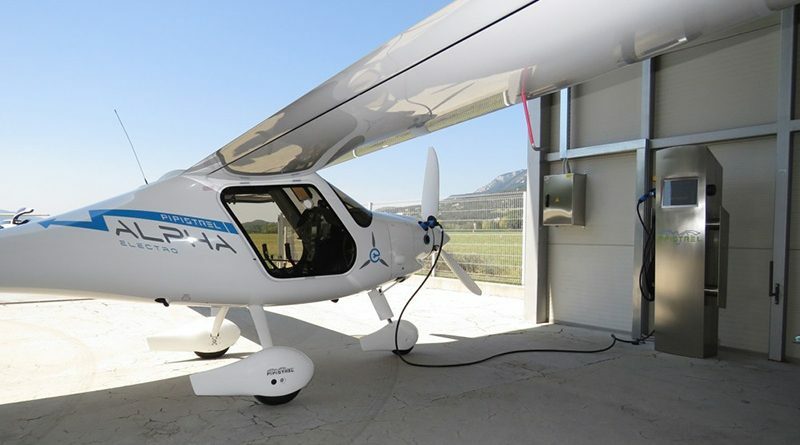 Pipistrel has already went through the certification process of their new electric aircraft couple of years ago. Since then, everyone can buy a brand new Alpha Electro, capable of 1 hour of flying (plus 30 min reserve), that comes with a quick charger. With its extreme low operating costs it will revolutionize the general aviation, especially the flight school industry. Combined with solar powered charging, a truly zero cost flight is not a dream anymore. 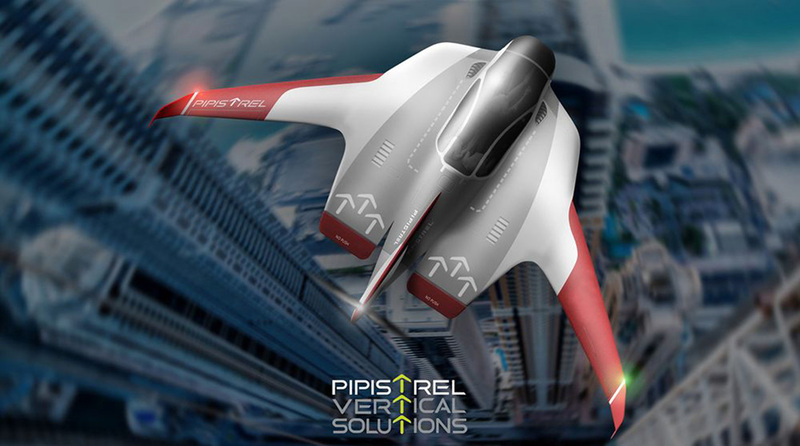 Last, but not least, let’s have a look at Pipistrel’s secret project, an autonomous VTOL air taxi concept. Unlike the competitors’ solution, it’s not going to have countless of rotor blades. 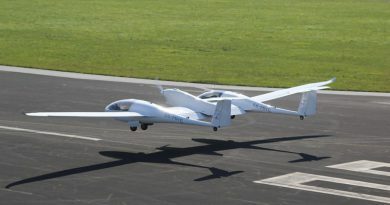 Ivo Boscarol hired several engineers for this project, cooperated with well known companies, such as Uber and Honeywell to make Pipistrel eVTOL possible. They revealed at an Uber conference that the new aircraft would have a special propulsion system that enables it to fly and take off vertically with 2-6 passengers on board. 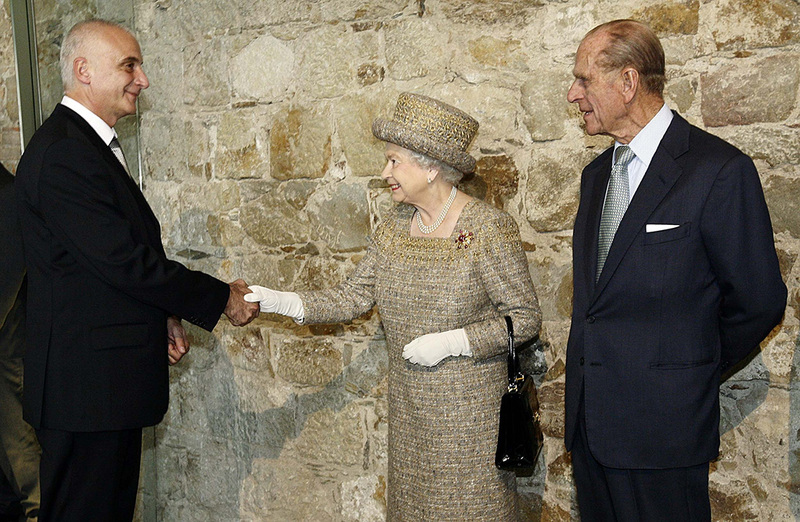 Ivo Boscarol, the founder and CEO of Pipistrel had the honor to be awarded by the Queen of England. With all the success the company achieved during their 30 years of existence, we look forward to the bright future, where eco friendly, cheap and safe flying will be a given for all of us.